XLeu Maxamaid BUY Leucine Metabolism Disorders, Dietary Management, Isovaleric Acidemia, Nutricia, 117791, Nutricia XLeu Maxamaid. 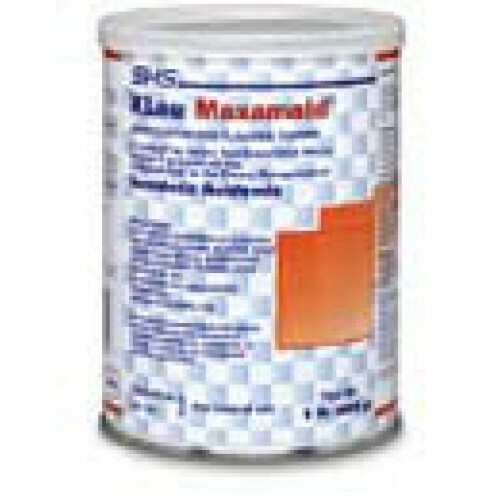 XLeu Maxamaid is a powdered Medical Food. Used for the dietary management of isovaleric acidemia, XLeu Maxamaid is leucine-free. Manufactured by Nutricia, XLeu Maxamaid is used for leucine metabolism disorders in toddlers and younger children. XLeu Maxamaid is orange flavored and contains a balanced mix of essential and non-essential amino acids, carbohydrates, vitamins, minerals and trace elements. Contains a balanced mixture of all other essential and non-essential amino acids, carbohydrate, vitamins, minerals and trace elements. XLeu Maxamaid provides 25 g of protein equivalent per 100 g of powder. Does not contain fat thereby allowing greater flexibility in modifying energy intake. 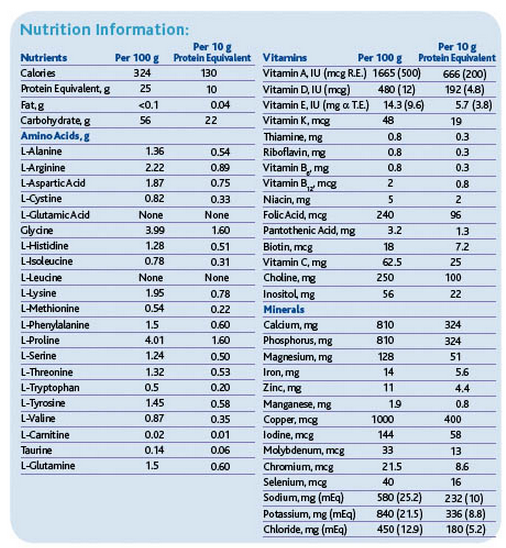 Nutricia XLeu Maxamaid Product Numbers: 117791. Application: Powdered Medical Food for Isovaleric Acidemia. User: Toddlers and young children. Maxamaid must be consumed in conjunction with natural protein, fluid and other nutrients in quantities prescribed by a dietitian or physician to meet protein and general nutrition requirements. Fat, carbohydrate and low protein sources may be used to supply needed calories and to fulfill essential fatty acid requirements. Maxamaid intake will vary depending on the age, body weight and medical condition of the individual. Intake is adjusted to maintain normal growth and development. Maxamaid is best served as a chilled drink with meals. Make a paste of the prescribed amount of powder with a small volume of water. For accuracy, Maxamaid should be weighed on a gram scale. Gradually add sufficient water to yield the prescribed volume. It is recommended that Maxamaid initially be reconstituted at a 1 to 7 dilution (e.g. 100 g of Maxamaid and 700 mL of water). It can however be given in a more concentrated form (e.g. at a 1 to 5 dilution or in paste form), according to taste preferences. Additional fluids should then be offered at the same time. 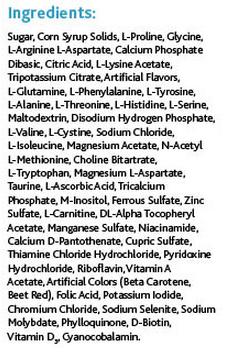 Reconstituted formula should be stored in the refrigerator and used within 24 hours. Must only be consumed by children with proven isovaleric acidemia while under strict medical supervision. Not intended for children under one year of age. Not suitable as a sole source of nutrition. Not for parenteral use. Store unopened can at room temperature. Do not store at extreme temperatures. Once opened, reseal can and store in a cool, dry place (not in refrigerator) and use within one month.